According to EContent Magazine, digital content refers to information available for download or electronically published media, but this article is focused more on written content such as website text, blog articles, newsletters, or promotional materials like eBooks. Content marketing then shares that valuable information for the purpose of launching a new product or service online. It influences consumer behavior from the time they first visit your website until the decision to make a purchase. It may take a web designer to build your technology infrastructure or hiring a company to host, maintain, and support one or more websites before knowing what types of written material you are going to need. This is especially important with eCommerce sites using customer portals. 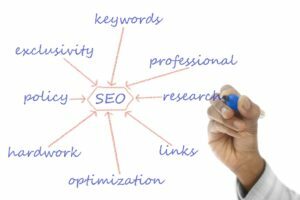 Once your content contains educational material and quality information, you are on your way to generating revenue and building search engine optimization (SEO) organically to solidify your reputation as an expert in your industry. There are many tools and templates to make content look professional. Text should include images or designs in the form of graphics. Canva is a great choice for digital marketers and writers who want to enhance their projects with the help of technology. Buzzsumo is a content tool that helps you find the right keywords and leverage organic SEO, while Pocket is used to save web content research material for later use. This platform also provides outsourced writing service with consultations to help you create a consistent brand. Zerys will create website and article copy with the use of artificial intelligence (AI) with machine learning to jumpstart the process. Artificial intelligence (AI) is a different type of technology including the subset of machine learning. [i] This will be the next step in digital media to heavily influences our lives. The content creation industry is one of the fastest growing industries in the world. 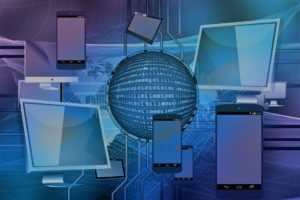 [ii] From desktop to mobile, AI will be necessary to keep up with the demand for digital media content that needs to meet volume and accuracy requirements. However, we are not likely to benefit from the creative storytelling perspective for quite some time as AI learns from existing data that is still being gathered and improved upon. It will definitely help with outlines of material, sourcing, and saving time as well as money. The creativity involved in developing a brand or theme that appeals to your buyer persona and target audience will still need a human mind to make it appealing to real people. Whether the content is written, visual, or a combination of both, certain elements will need an emotional touch AI can’t actually mimic. You are making content for each phase of the buyer’s journey so individual visitors must feel that they received unique, personal, and entertaining material. Content writers work with business owners, web designers, and marketing agencies to incorporate graphic design, marketing, buyer psychology, anticipate legal issues, and more through tools and software. Now they will need to examine the trends in AI and follow the technology advances continuing to disrupt every industry today. Successful writers will need to combine the knowledge of English grammar with AI resources to enhance their ability to develop content projects more quickly and efficiently. Digital content marketing has blended with traditional advertising methods until replacing them as we customize global branding and messaging to reach customers. A stellar marketing strategy now relies completely on the use of software analysis to customize content development, post reviews, track progress with metrics, test processes, and duplicate them. AI will be needed to maintain success in the content writing business in the same way. It will gradually become more necessary as it adapts to certain levels of human creativity. Research the trends and use these machine learning processes in the form of free or subscription-based tools to complement your content marketing efforts where you can. Stay relevant as AI creates a revolution in the industry. Keep your eyes open and evolve. This article was written after requesting content from the platform AI Writer after reviewing a list of AI and machine learning writing apps. See the raw material and the outline, sourcing, and editing process.